SUNCREAM AND SPARKLES: Lusting After - Mango Bags! Lusting After - Mango Bags! If you know me, you'd know I'm a bit of a bag lady, lol. I loooove bags! Can't get enough of them. When we were last in Spain I got myself a stripy backpack from Deichmann (find it here). I love being 'hands free' and it's great for travelling. Some of my 'hand bags' recently, even though I do still love them, they're starting to annoy me slightly, as I feel like I'm carrying around a doctors bag or something, lol. They just feel far too formal for my daily life. I'm after more of a casual shoulder bag or cross-body bag to take me into summer. I do still love a boho clutch though (gutted the one I got from Primark last summer, pretty much fell apart after only a couple of uses, sad face - I will have to get my sewing kit out and try to rescue the poor thing!). Mango have a lush range of bags at the mo and I can't wait for our next visit to Spain, so I can hopefully pick myself up one of these beauties! 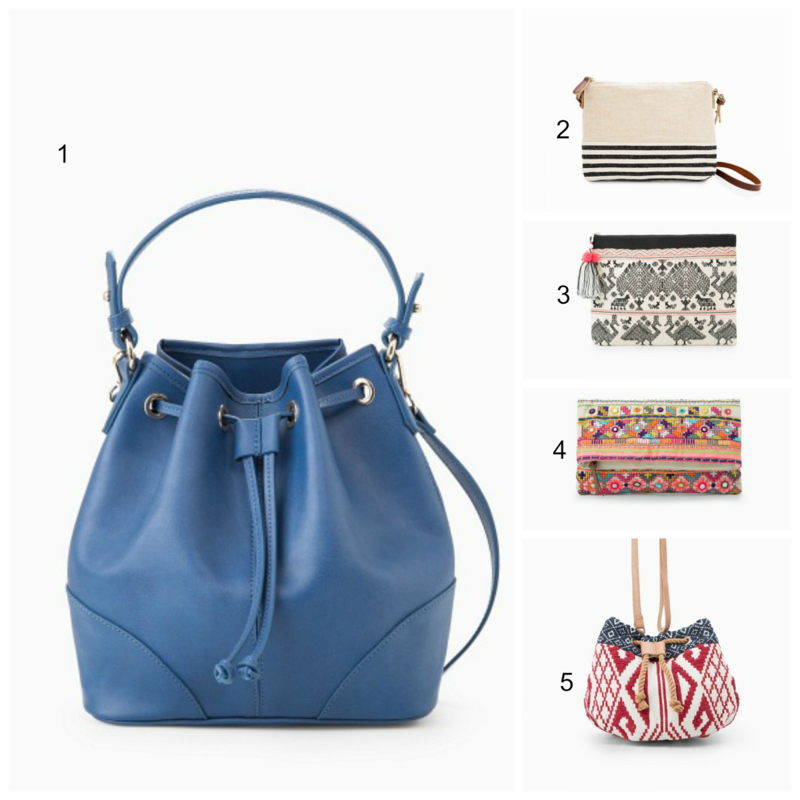 What kinda bag will you be going for this spring/summer? Good luck on you test!